Pontifical Council offers seminary guidance on evangelizing through academics. Recently, I was honored to attend a two-day consultation in Rome with the Pontifical Council for the Promotion of the New Evangelization. The purpose of the meeting was to gather representatives from Catholic universities that have formal academic programs that treat the New Evangelization. The small group numbered around twenty, representing schools from Austria, Italy, Poland, England, the United States, Spain, Columbia, and Germany. 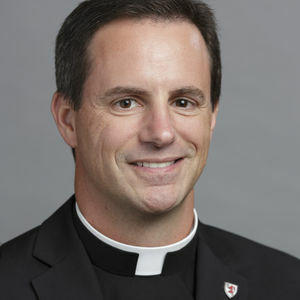 Four institutions were from the U.S.: Sacred Heart, Franciscan University of Steubenville, Catholic University of America, and St. John’s Seminary in Boston. The Pontifical Council asked that representatives present the main components of their programs; in Sacred Heart’s case, the Licentiate in Sacred Theology, which has a specialization in the New Evangelization. One of the main outcomes of the meeting was to have an exchange of ideas among the institutions. A second outcome was to receive direction from the leadership of the Pontifical Council, especially delivered through three major addresses. Archbishop Rino Fisichella, president of the Pontifical Council, presented “The New Evangelization: A ‘Locus Theologicus’ for the Teaching of Theology.” He noted that evangelization represents an essential element of theology, in that it has to do with the “transmission of the faith.” He gave extended focus to the importance of fundamental theology as foundational for the New Evangelization. Bishop Octavio Ruiz Arenas, Pontifical Council secretary, offered his address, “Formation of Agents of the New Evangelization.” He explained that to form authentic evangelizers, educators must offer spiritual accompaniment along with a solid foundation in theology. He focused on the need for conversion, humility, and discernment in the heart of the evangelizer. Finally, Bishop Vincenzo Zani, secretary for the Congregation for Catholic Education, presented “Sapientia Christiana and the Challenges of the New Evangelization.” He addressed the norms of Sapientia Christiana (Christian Wisdom), St. John Paul II’s apostolic constitution guiding the academic programs of Catholic universities. In particular, he emphasized the study and proclamation of the truth of the Gospel in the midst of a secularized, pluralistic world. In addition, Archbishop Fisichella put forward four categories for us to consider, as important elements of academic programs for the New Evangelization. These are Catechesis and the New Evangelization, Sanctuaries and Popular Piety, Culture and Inculturation, and Mercy Received/Mercy Lived. As we approach the centennial year of our founding, 2019, Sacred Heart will continue to have an institutional commitment to raising up enthusiastic new evangelists for the Church. As such, I have asked the seminary’s faculty members—particularly the committee members who oversee the Licentiate in Sacred Theology degree program—to consider how Archbishop Fisichella’s categories might be integrated into the seminary’s many academic programs.